Depp was born in Owensboro, Kentucky, the youngest of four children of Betty Sue Palmer (née Wells), a waitress, and John Christopher Depp, a civil engineer. Depp moved frequently during his childhood. He and his siblings lived in more than 20 different places, eventually settling in Miramar, Florida in 1970. 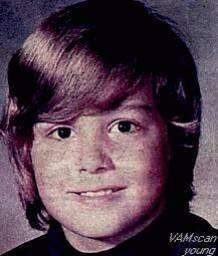 In 1978, when he was 15, Depp’s parents divorced. His mother remarried to Robert Palmer (died 2000), whom Depp has called “an inspiration to me”. With the gift of a guitar from his mother when he was 12, Depp began playing in various garage bands. A year after his parents’ divorce, Depp dropped out of high school to become a rock musician. He attempted to go back to school two weeks later, but the principal told him to follow his dream of being a musician. He played with The Kids, a band that enjoyed modest local success. The Kids set out together for Los Angeles in pursuit of a record deal, changing their name to Six Gun Method, but the group split up before signing a record deal. Depp subsequently collaborated with the band Rock City Angels and co-wrote their song “Mary”, which appeared on Rock City Angels’ debut Geffen Records album, Young Man’s Blues. On December 20, 1983, Depp married Lori Anne Allison, the sister of his band’s bass player and singer. During Depp’s marriage, his wife worked as a makeup artist, while he worked a variety of odd jobs, including a telemarketer for pens. His wife introduced him to actor Nicolas Cage, who advised Depp to pursue an acting career. Depp and his wife divorced in 1985. Both Depp and his subsequent fiancé Sherilyn Fenn auditioned for the 1986 film Thrashin’. They were both cast, with Depp being chosen by the film’s director to star as the lead, which would have been Depp’s second major role. Depp was later turned down by the film’s producer, who rejected the director’s decision.